Environment Monitor with 8 sensor ports + 60 dry contact inputs. The AKCP sensorProbe8-X60 is a self-contained out-of-the-box solution for remote monitoring and management of external devices such as data centre equipment, HVAC, security equipment, UPS, generators or industrial equipment. SensorProbe8 saves you the cost and hassle of installing a separate software application to monitor your environmental conditions. Many different types of equipment and devices use dry contact outputs to send alarm signals to remote panels, remote monitoring systems, and building management systems. Communicating the status of these dry contact systems is important in a complex Enterprise network, or automation industry to protect mission critical installations. The SP8X-60 comes with 8 full auto sense RJ-45 ports for connecting any AKCP intelligent sensor. An additional 60, 2-wire dry contact ports are provided giving a total of up to 68 dry contact ports or a combination of dry contact and sensor. The specially designed 2 wire dry contact ports are easy to use and allow you to make your own dry contact cables quickly and easily. Any of the eight ports present on the sensorProbe8 can be used to plug in any of the wide range of AKCP sensors, including temperature, combined temperature & humidity, wetness, airflow, smoke, motion, power presence, combined siren & strobe light alarm. The AKCP sensorProbe8-X60 is the monitoring base unit, it does not have any built-in sensors. In order to measure anything you need to attach one or more sensors to the base unit. Size 18" x 5" x 1.65"
60 x 2 Wire Dry Contacts. Input only up to 5VDC and up to 40VDC in opto isolated mode using internal jumper setting. Manufactured using highly integrated, low power surface mount technology to ensure long term reliability. What is the difference between the AKCP sensorProbe and securityProbe ranges? Akcess Pro server is a software product developed by AKCP to support their environment monitors. The software enables central data logging and alerting of sensorProbe and securityProbe monitors. Do the sensorProbe and securityProbe monitors require calibration? Is it feasible to route sensor traffic over the network to a single sensorProbe unit so that I can get a view of all the sites status? What is the measurement range of the AKCP temperature sensor? The AKCP Temperature Sensor has a temperature range of -55 to +125°C / -67 to +257°F with an accuracy of ±0.5°C from -10 to +75°C. How do we trigger the A/V alarms based on the alarm condition our system generates? 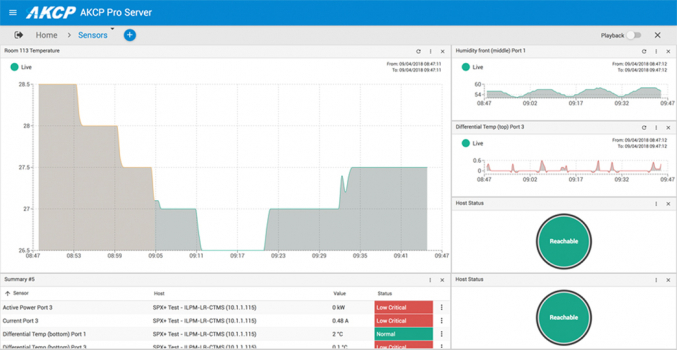 AKCP Introduce Live Power Usage Effectiveness Monitoring AKCP have released an updated version of their AKCPro Server software. The new software features a new web based interface. It also includes new DCIM features including the ability to track in real time your Power Usage Effectiveness or PUE. AKCP News June 2018 The big news in June is the release of a re-written version of AKCess Pro Server, now called AKCP Pro Server, written from the ground up to use a web interface written in HTML5. In addition, AKCP have also released a new sensor to help you monitor the health of your UPS batteries. AKCP News March 2018 Updates to the thermal map sensors, an inline power meters to upgrade your dumb PDUs and a smart rack system. 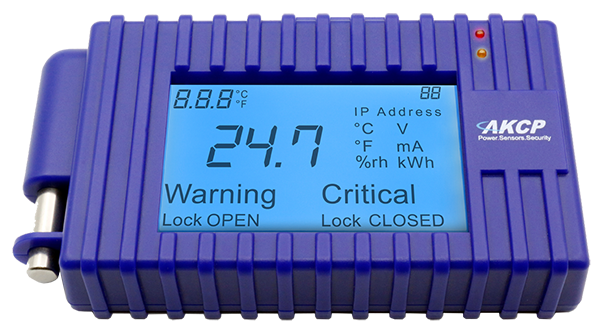 Announcing the AKCP Programmable LCD Display The AKCP LCD Display features a high quality, backlit, display and includes a free built in temperature sensor. The display connects to any sensorProbe+ device, via the intelligent sensor port, and can be programmed to show the reading and status of any AKCP sensor connected to the sensorProbe+. 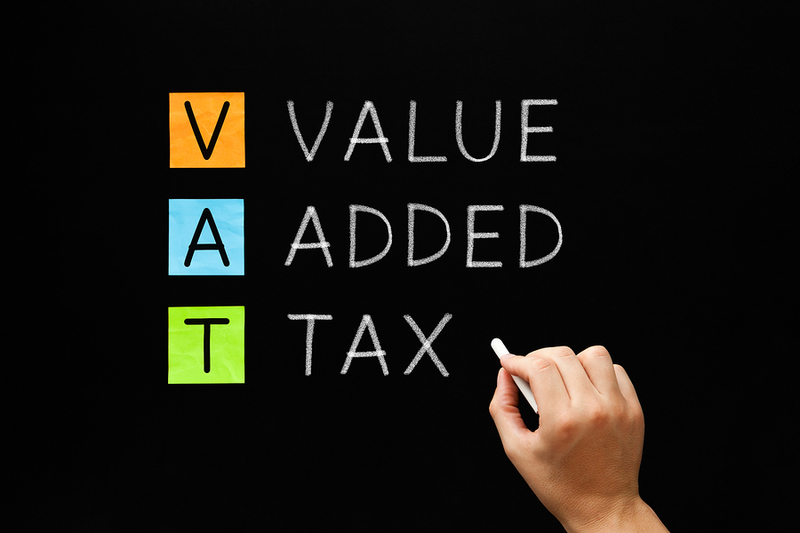 New EU VAT Free Shopping Business customers with a valid VAT number can now shop VAT free when the goods are sent outside of the United Kingdom. 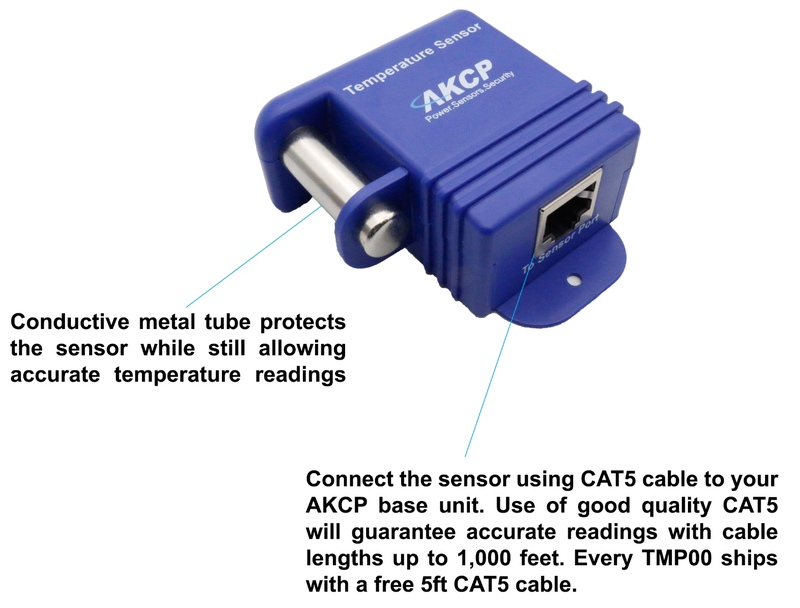 AKCP News August 2017 AKCP have made some improvements to the temperature sensor product line (TMP00, DCT00, TMS), with a new style box. All temperature sensors will ship with this new enclosure starting 15th September 2017. Dual sensors with temperature and humidity will follow in this new style enclosure by second quarter 2018.